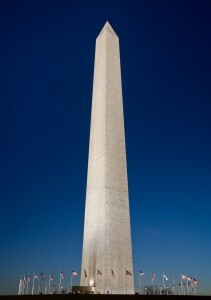 In August 2011, a 5.8 magnitude earthquake rocked Washington D.C. and caused over 150 structural cracks to the 130-year-old Washington Monument. At 555 feet tall, the stone symbol required extensive, careful repair that cost around $15 million. In fact, teams worked on scaffolding for nearly 1,000 days to better work stone by stone. For the full post, visit PetrilloStone.net. This entry was posted in Uncategorized on May 13, 2014 by Boom Visibility.